You can determine where on the page of 30 labels you begin printing. When you select Avery Address Labels from the toolbar (either the PDF or the Word version), you will see an option to Skip labels . Enter the number of labels that you want to skip in order to use a page of labels that has already been partially used. 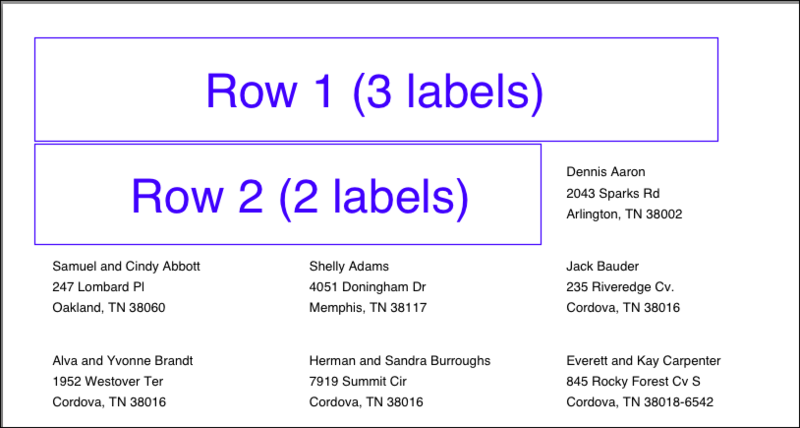 If you have used the first 5 labels on a page of 30, enter 5 in the box and the printing will begin with the 6th label. This will keep you from wasting labels when you do not have an entire page to print. Five labels are skipped – the first row and part of the second row. The labels begin with the 6th label on the page. You need to disable the PDF Viewer. In your browser’s address bar, type chrome://plugins and scroll down until you see Chrome PDF Viewer . Once that is disabled, the labels will display using Adobe Reader. You will need to make sure that you have the Scaling set to None. This step also applies to those not using Chrome. 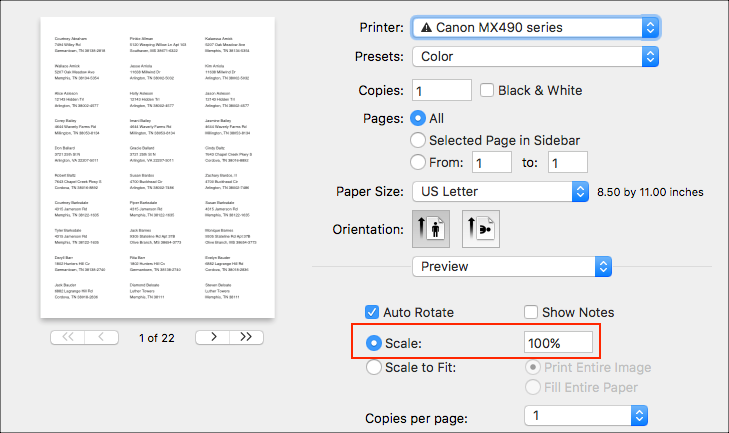 Once you open the PDF document and click Print , look in the Print dialog box for Page Scaling and select None from the dropdown menu. Instead of ‘Scaling’, it might say Scale 100%. If so, you should be able to leave it at that setting. This should take care of the alignment problem.